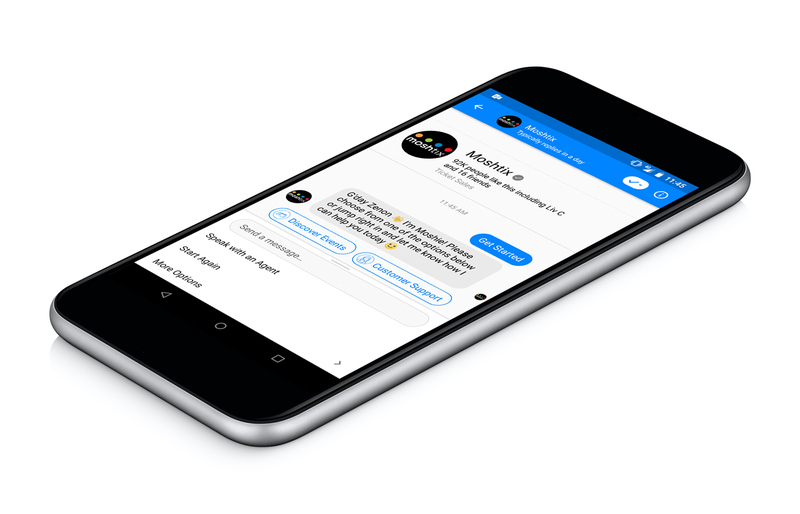 Introducing MoshMessenger, Our New Chatbot To Help "Make Live Easy"
We've launched our brand new Facebook Chatbot, 'Moshie', making it even easier to find and attend live events across Australia. The introduction of the bot aims to make moshtix the one-stop-shop for event discovery, ticket delivery and support on even more platforms. The first for the local ticketing market, Moshie can deliver tickets straight to your Facebook Messenger account following a ticket purchase, allowing customers to easily retrieve, download and store tickets. Say goodbye to lost tickets in your junk email folders. MoshMessender tickets can be scanned directly from your phone at the event venue. Unlike typical bots that only provide standard responses, MoshMessenger handles a range of FAQ's as well as giving customers the option to speak to one of our local customer service representatives. As well as providing 24/7 support, MoshMessenger will also give customers the opportunity to discover moshtix events based on location, date, type of event, and in the case of music, genre. It also offers behaviour-based event recommendations. Built in partnership with Melbourne digital and technology agency Bolster, MoshMessenger is backed by data-driven machine learning which means it will constantly improve the customer experience. Explaining the potential of the bot, CEO of moshtix, Harley Evans said, "moshtix's philosophy is to 'make live easy' and remove the barriers between the performer and the fan, and we feel MoshMessenger tickets these boxes with a very user-friendly interface on one of the worlds' leading social platforms." Bolster founder, Alex Zaccaria said "We're stoked to be at the forefront of a new era of events marketing in Australia. We've pushed the boundaries of what's possible with conversational marketing through the first release of this bot. What's most exciting about MoshMessenger is that it goes beyond just marketing, into function and purpose. It will help fans discover shows and get answers to their questions, quicker than ever. We can't wait to roll out the next phases of it once it's had time to learn, too." Test out the new MoshMessenger at https://m.me/moshtix.